On a warm May night in San Francisco, the Ritz-Carlton ballroom shimmers as a glittering, celebrity-studded crowd gathers for a charity dinner dance. The evening is perfect–until, just minutes before midnight, the room begins to sway…. In the earthquake’s aftermath, the lives of four strangers will converge.… Sarah Sloane, the wife of a financial whiz, watches her perfect world fall to pieces…. Grammy-winning singer Melanie Free comes to a turning point in her life and career…. Photographer Everett Carson finds new purpose amid the carnage…and Sister Maggie Kent, a nun who works with the homeless, searches through the rubble–and knows that there is much to be done…. As the city staggers back to life, a chain reaction of extraordinary events will touch each of the survivors…. Sarah discovers a crime and a betrayal, then a strength she never knew she had. Volunteering at a refugee camp opens new worlds of possibility for Melanie. Everett will forge an unlikely relationship with Maggie, who helps him rebuild his shattered life–and upends her own in the process. And as a year passes each discovers the unexpected gifts in a tragedy’s wake…and the amazing grace of new beginnings. 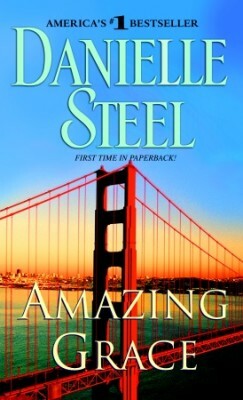 Throughout these enthralling pages, Danielle Steel creates a stunning array of contrasts –from the dazzle of a society benefit to the chaos of a makeshift hospital, from the pampered lives of rock stars to the quiet heroism of emergency volunteers. It is her most powerful and life-affirming novel to date.